Wabi-sabi is a term that is often used to allude to rustic simplicity and the art of imperfection in our lives. 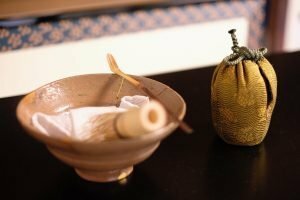 The term has its roots in the Japanese rite of tea, but is used today more often outside its original context. 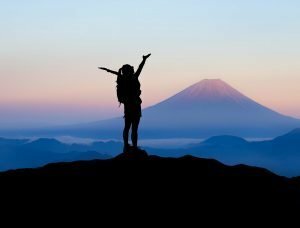 The notion itself has received a place in today’s society as a mode of thought that should help us to live life more mindfully and aware of the inherent (yet imperfect) beauty of the things surrounding us. Needless to say that such interpretations fail to grasp the original wabi sabi meaning. This article aims to clarify what wabi-sabi is and how it should be understood. 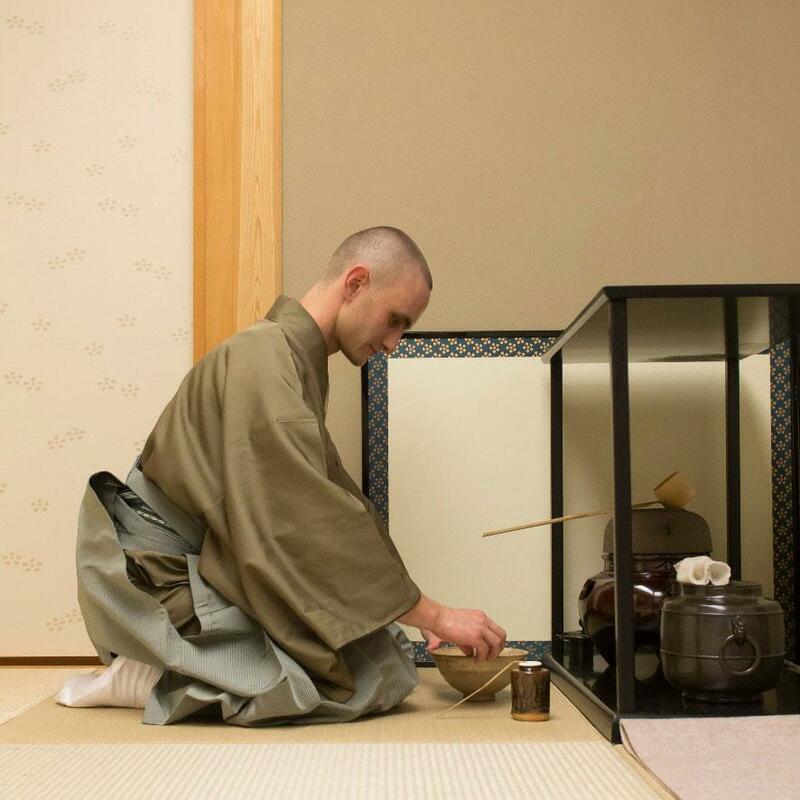 After Zen monks brought tea to Japan in the 13th century, it was first used at Zen monasteries. During the following decennia tea became a popular commodity for the common people as well. Consequently, the first tea gatherings took shape, and betting games revolving around the blind tasting of tea became a fashionable pastime. In succession, shoin-tea gatherings held at the grand reception rooms in the mansions of the military elite laid the foundation for the further development of the rite of tea. Shogun Ashikaga Yoshimasa was a great proponent of this style. This is clear because he spent most of his waking hours in pursuit of the way of tea, appreciating the arts. He almost made it seem as if he had completely forgotten about his governmental responsibilities. At the same time, Zen monk Murata Shukō of the Sōmyōji temple in Nara (who studied Zen meditation with Ikkyū zenshi) devoted his time to hosting sarei tea ceremonies in the way customary for Zen temples. Yoshimasa favored this way and commended the spreading of Shukō-style tea throughout the country. This branch of teaching produced many adepts of his way, and gradually the form in which the rite of tea was practiced began to transition from shoin-tea to wabi-tea. Consequently, with the appearance of first Takeno Jōō, and then Sen Rikyū, the formation of the aesthetic for wabi-tea gradually took to completion. Wabi-style tea can’t be seen in disconnection to shoin-style tea. For it is the shoin-style that through influences from Zen Buddhism evolved into wabi-style tea. 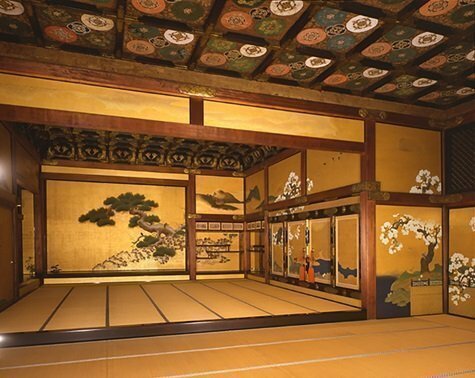 The grand reception rooms in which those tea gatherings were held characterize the shoin-style. And, for such gatherings precious Chinese objects (known as karamono) were put on display in an un-orderly fashion. Shoin-style tea was focused on a display of wealth and power through the collection of revered ancient Chinese implements. Shukō influenced this custom by suggesting limiting the amount of utensils exposed. This would attract more attention to the objects that were presented in contrast to the ones that were kept behind scenes. Simplifying the environment and limiting the amount of objects in the room put the objects that are in use in the spotlight. And it allows for a deeper engagement with, and interest in them by the observers. In addition, Shukō’s influence resulted in the construction of designated rooms and pavilions designed solely for the purpose of the rite of tea. The original grand reception rooms changed to rooms with the designated purpose for gatherings related to the arts, and received designated architectural designs that would allow for a more orderly arrangement of antique works of art. Karakasa-tei at Kōdaiji temple in Kyoto. Shukō’s successor, Takeno Jōō further developed the ways for constructing a tea hermitage. For the walls he used clay; he changed the material for the lattice work from wood to bamboo; he removed the wooden paneling from the paper sliding doors; used a brighter paint of light wood for the wooden board in the alcove; refrained from using a daisu [grand-sideboard] for the service of tea, or employed a desk with an enclosed shelf forming a simplified combination of the daisu and alternating shelf structure on the walls; etc. His alterations were a variation on, and simplification to the then current structures used for the service of tea. Jōō also shifted the interest in exclusively Chinese objects to the use of a mixture of both Chinese and Japanese implements. His sense of the beautiful consisted of a preference for the imperfect, and a dilution of the boundary between Japanese and Chinese objects. The possession of karamono was a way for the rich elite townspeople to express (and show-off) their wealth. However, a growing interest in the service of tea demanded alternatives for the limited availability of Chinese wares. The addition of native objects aided this necessity, and simultaneously enforced a renewed luxurious sense of beauty as part of the wabi sabi aesthetic, in opposition to the predominant karamono as the core for shoin-style tea. A service of tea using the daisu grand sideboard. 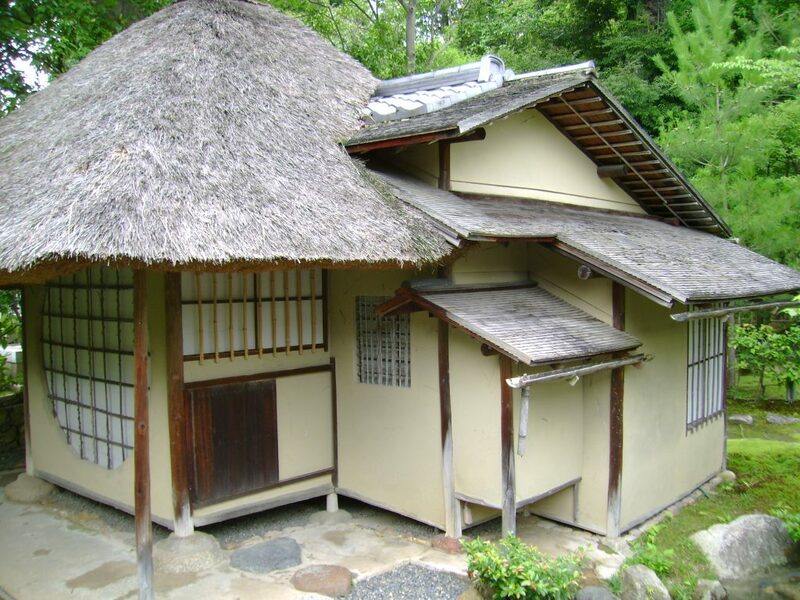 Sō’eki [Rikyū] is the first person to have built a one-mat-and-a-half tea chamber in Kyoto. Although it was an unusual thing at the time, someone with less skill than his would not have been able to put it to good use. Because Sō’eki is a master in the art, even if he would change mountains into valleys; swaps the west for the east; if he’d break every rule of the rite of tea and do whatever he pleases, the outcome would still be enthralling. But, should an amateur imitate his style, it would simply not be tea. The functional use of this rare tea chamber could only be achieved because Rikyū had become the expert tea master he was. Should any aspirant attempt to ape him and say, “I am the embodiment of true wabi sabi” while sitting in a one-mat-only chamber, we should say that this couldn’t be anything other than ridiculous. Again, Katagiri Sekishū, the person who succeeded Kobori Enshū as the official instructor in the way of tea at the Shogunate, notes in his ‘three-hundred articles’ that someone who has not reached the same mental attitude as Rikyū himself could not begin to understand this creativity. On the contrary, he even remarks that any ordinary enthusiast of the way of tea isn’t capable of employing, nor serving guests in such a space. Rikyū has reduced his tea chamber to one-mat-and-a-half. Even so, one-mat-and-a-half is the most extreme form of wabi. Therefore, we must be aware of the fact that great cleverness and understanding is required to enforce the formality of the one-mat-and-a-half-style. More often than not when we use words as wabi or sabi, we constrict ourselves to only seeing its exterior form, while we refrain from trying to grasp the word’s deeper meaning. Wabi sabi are, as indicated by Sekishū, extremes, or the highest form of something. The emotional state reached when wabi is achieved only takes form after everything that could be done has been diligently completed. Wabi is therefore by no means represented by superficial images as small tea hermitages or warped tea bowls. The time during which Rikyū’s wabi-style took shape was during the final years of the warring states period, when the grasp for power regardless of standing or rank had yet to cool down, and when your fate was often decided by your own determination and emotional strength. It is during such a disorderly time that Rikyū’s high-minded style of wabi-tea took shape. And it is this emotional state that Shukō sought to convey when he chose the following poem by Fujiwara Sada-ié as his definition for the true meaning of wabi. Gazing out, neither the beautiful cherry blossoms of spring, nor autumn’s bright-red maple leaves remain. Only a rush-thatched fisherman’s house by the seashore in autumn twilight. 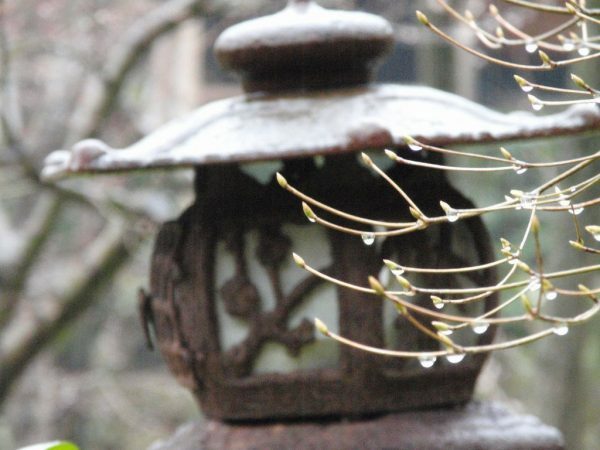 It is the lucid image of the empty sky after the beautiful blossoms and the maple leaves have fallen that made Shukō choose this poem as a clarification for the innermost secrets of the rite of tea. Someone who doesn’t know the blossoms or the maples only sees the sad and hollow void, without the feelings of joy and sadness for what has been and what is to come. The image of the fisherman by the shore is all he knows, the sadness of an enduring empty landscape. The notion of wabi is too immense to capture in a few words. In fact, it would call for tremendous misunderstandings to try to capture the whole emotional state that is expressed by the word in any type of writing. If you truly seek an understanding of the meaning of wabi sabi, it is important to keep this to heart. When Jōō at the age of 32 visited the lacquer ware dealer Matsuya, he had an experience that awoke him to the true meaning of Shukō’s wabi-style tea. 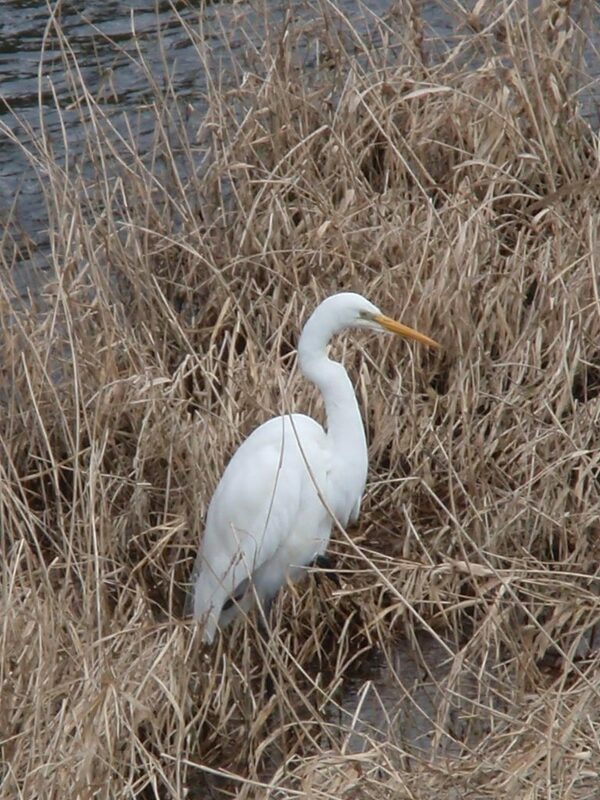 The transmission declares that it was the painting of a white heron by 10th century Chinese painter Xu Xi. The painting was immensely grasping and was mounted on brilliant fabric. It was Shukō who decided to intentionally change the mounting to a more simple yet elegant material. The legend proclaims that when Jōō saw the contrast between the splendid painting and its rustic framing he immediately apprehended the core of Shukō’s tea aesthetic. The story was passed on to many a tea practitioner, and Rikyū too used the tale to convey the true meaning of wabi sabi to his pupils. Soon the painting became an object of reverence and the saying “someone who hasn’t seen the painting of the white heron is not a tea person” became common sense. Unfortunately this painting was lost during the Satsuma rebellion after it had changed hands from Matsuya to the Shimadzu family in Kagoshima. It is clear that a definitive verbal definition for the meaning of wabi sabi can’t be achieved. The originators of the style used abstract allegories to illustrate what they understood under wabi sabi. The style in itself isn’t simply a cognitive approach to worldly things. On the contrary, it relies more on an emotional experience of the things as they in essence are. The term wabi has its original meaning in a sense of loneliness, one that can be likened to a solitary hermit living in a rustic mountain dwelling. This notion gradually transitioned to a liking for simplicity and quietude. Sabi, on the other hand, is used to refer to patina and the transience of things, the beauty of impermanence. It can be likened to a mixed emotion of joy and sadness. When we see something beautiful, for example a Camellia flower, drop in front of our eyes, we are overtaken by sadness for the flower’s passing, but at the same time our heart is filled with joy, for we have witnessed it at its prime. And, this feeling can only exist when we are aware of the natural flux of nature. We know that there comes an end to every flower, but we also understand that in the next cycle it will appear again. This is the reality of the world we live in, and it is to give expression to this emotion that Shukō selected the poem by Sada-ié. In attempt to clarify the meaning of Rikyū’s wabi sabi style of tea, he chose a verse by Fujiwara Ié-taka that represents his understanding of the concept, and simultaneously alludes and adds significance to Shukō’s selected composition. To him who merely awaits the coming of spring’s blossoms, I wish to point out the fresh grass shoots that eagerly look out from between the remnants of snow in the mountain villages. 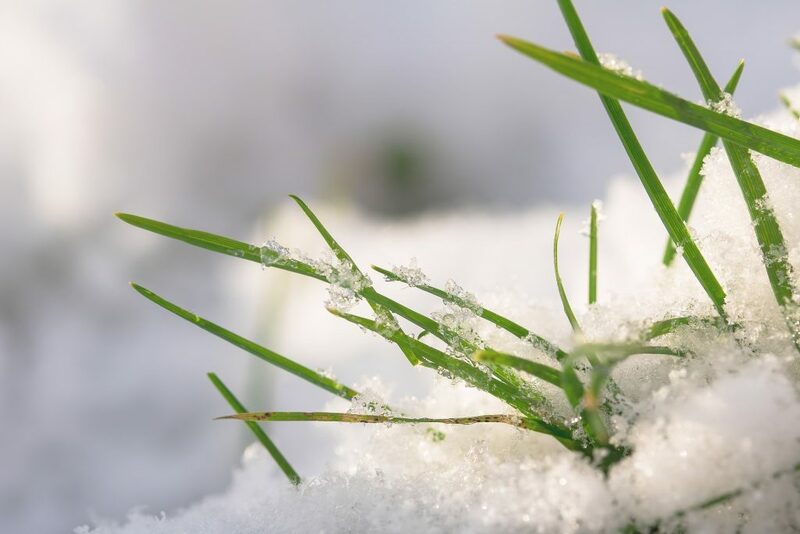 Having endured the long colds of winter, in certain places where the snow has melted bright verdant shoots of grass give sight of their young faces. 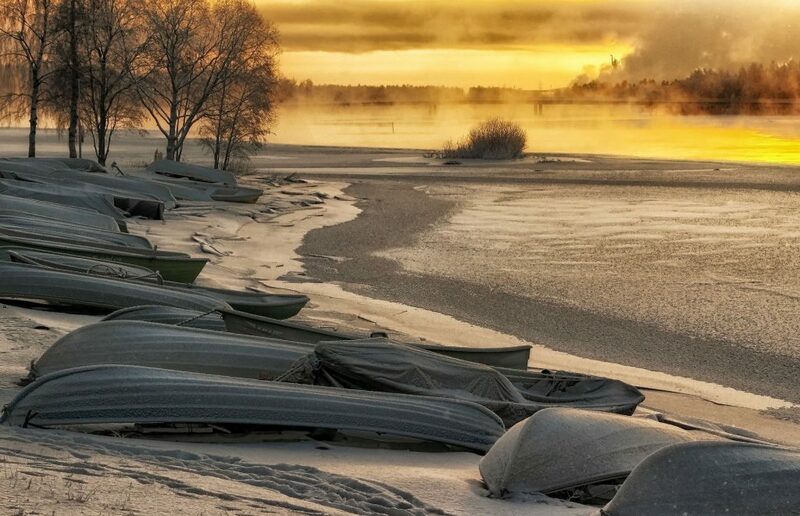 During the still lingering serenity of the final days of winter we can already grasp a renewed vitality as an image of nature’s concealed vigor. The choice for this poem ultimately gives insight in Rikyū’s artistic imagination. 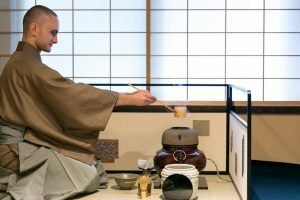 Wabi-style tea evolved as a separation from the luxurious shoin-style tea hosted in grand reception rooms at military mansions by adding Zen Buddhist influences to the praxis. As a result, displays of wealth and splendor were minimalized and spaces for the pastime of tea became smaller and smaller. In addition, the implementation of native objects for use in the rite of tea completes wabi as the antithesis of its ‘grander’ predecessor-style. The originators of wabi sabi understood that the true meaning of the style is conveyed in a direct emotional experience of it, and that any verbal definition would inevitably be inadequate to successfully encompass the extensiveness of its significance. They therefore relied on abstract images of poetic expression and painting to provide a means for the receiver to at least begin to approach the quintessence of their style. However, it is up to the adept to through diligent practice, study and meditation, nurture a full internal apprehension of the wabi aesthetic. The following two precepts by the daimyō tea-practitioner Katagiri Sekishū beautifully summarize the intrinsic understanding of wabi sabi presented here. As our expert forerunners in this praxis have warned us, true wabi cannot be manufactured or faked: it can only be discovered, heaven-guided. Since both completion and fullness are inimical to wabi, two- to three-tenths of material inadequacy will naturally give rise to true fullness and satisfaction of the spirit.